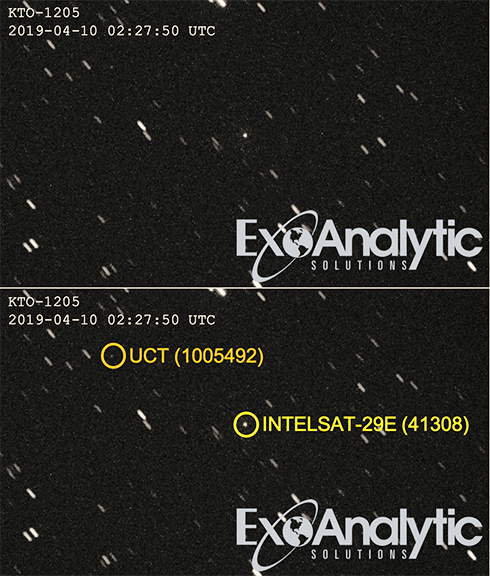 On April 9, ExoAnalytic Solutions tracked what appears to be a medium sized piece of debris separating from the Intelsat-29e satellite. Intelsat 29e had been in a geostationary orbit at 50 degrees West longitude until April 8, when the satellite began tumbling and drifting to the east. Both the satellite and debris are in orbits near the geostationary belt of satellites, currently near 49 degrees West and drifting slowly eastward with apogee and perigee within +/- 70 km. of geosynchronous altitude. This event follows a similar event from last month wherein two objects separated from another Intelsat satellite, Galaxy-11, which had recently began drifting westward from its geostationary slot at 45 degrees East. 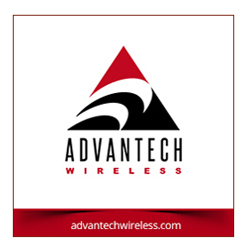 ExoAnalytic Solutions is a leading provider of high-altitude (GEO, HEO, MEO) Space Situational Awareness (SSA) data and services. With a global network of more than 300 telescopes at 27 observatories, the company provides persistent, accurate, and trusted information to commercial satellite owners/operators for anomaly resolution, collision avoidance monitoring, maneuver planning validation, and flight safety.